Femme fatale. 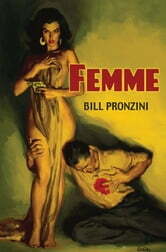 French for "deadly woman." In the thirty years the Nameless Detective has been a private investigator, he has never once had the misfortune to cross paths with this type of seductress... but in Femme he'll meet Cory Beckett, a deadly woman who has brought some new angles to the species. New—and terrible.